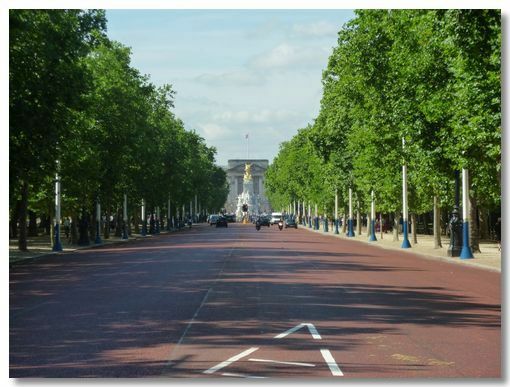 The Mall is London’s ceremonial route to the Monarch’s official residence. 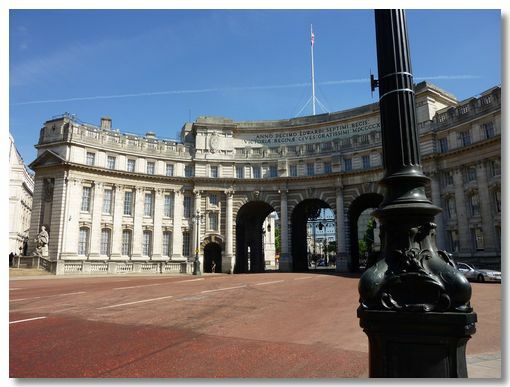 A little over half a mile long with Admiralty Arch and Trafalgar Square at one end and The Queen Victoria Monument and Buckingham Palace at the other end. You never know who you will bump into here. Off to Change The Guards. One of the Government's most prestigious locations. Due to cut-backs, it has been sold to an up-market hotel chain. 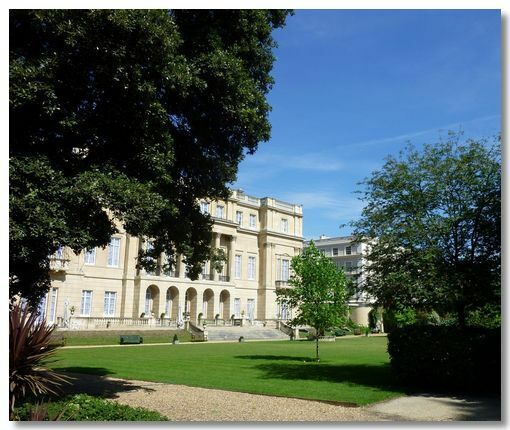 Along part of the north side of The Mall is Carlton House Terrace, designed by John Nash. To the left of this photo, but partially obscured because of the tree are statues of George VI and Queen Elizabeth, The Queen Mother. 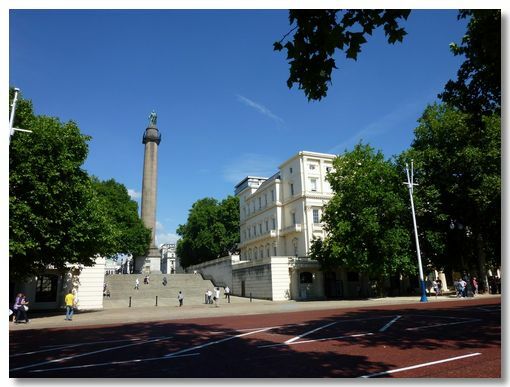 Breaking up Carlton House Terrace is the Duke of York Column. On a personal note, the building to the right is the ICA, where we had our wedding reception in 1979! 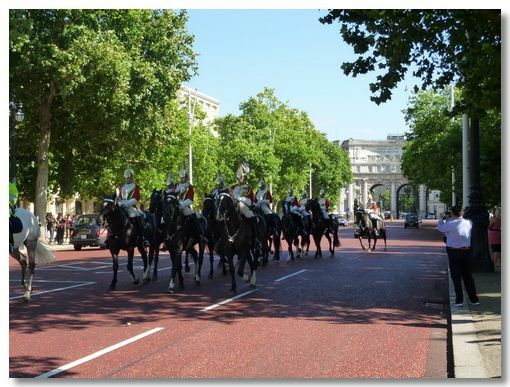 A view of Horse Guards Parade from The Mall. 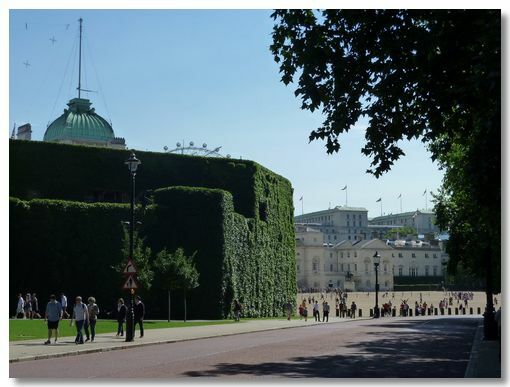 The ivy-clad building on the left is the Admiralty Citadel, London's biggest & ugliest bomb shelter; a relic from WWII. Time to pull it down? 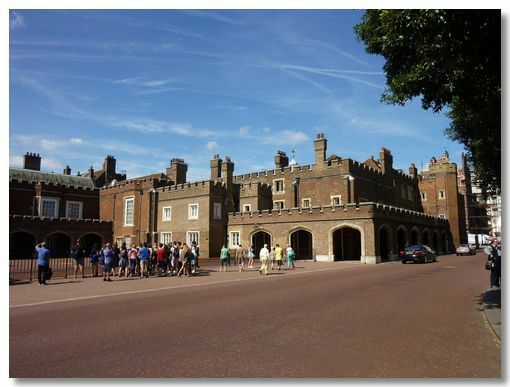 The Horse Guards Parade ground was the Beach Volleyball venue in the 2012 Olympics. 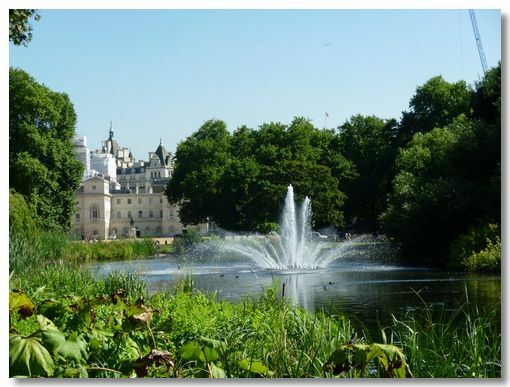 On the south side of The Mall is the delightful St James's Park, a gem in the centre of London and the oldest of the Royal Parks. 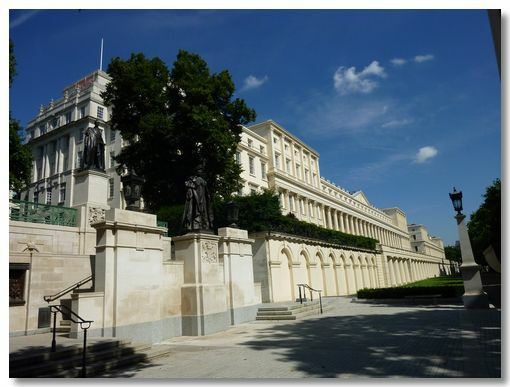 Commissioned by the "Grand Old" Duke of York (whose column is in one of the above photos), now the most important centre for Government hospitality. 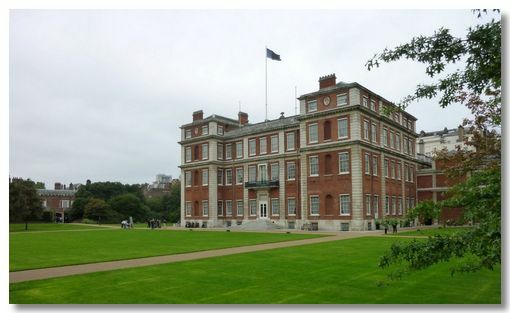 Marlborough House is a Royal Palace and the International Headquarters of the Commonwealth, of which the total population of the member countries comprise about 30% of the Human race. Fairly significant then wouldn't you say? 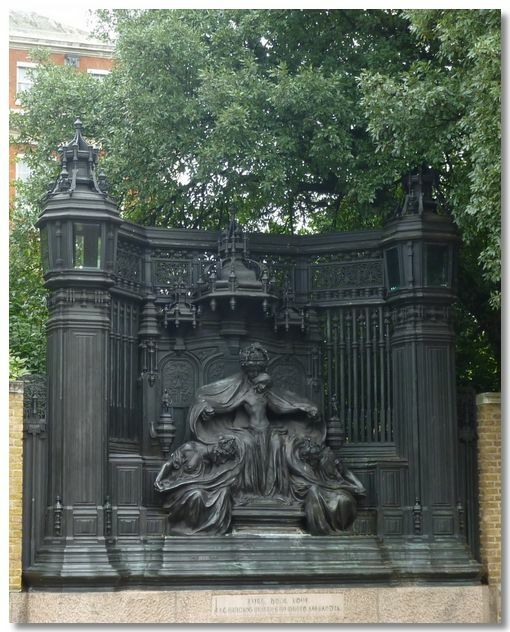 On the wall of Marlborough House facing St James's Palace is this strange and enigmatic monument to Queen Alexandra, wife of Edward VII, by Sir Alfred Gilbert (works include "Eros" statue in Piccadilly Circus). 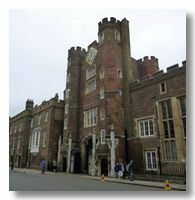 St James's Palace is the most senior Royal Palace in the country, commissioned by Henry VIII. 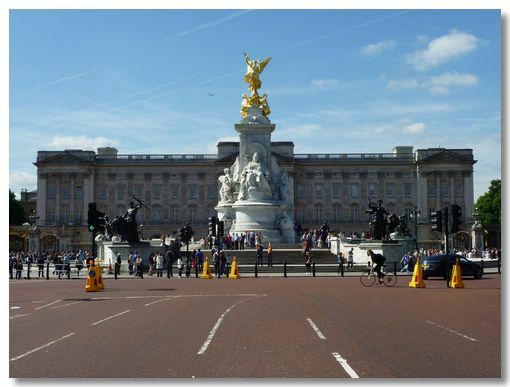 This is the official London residence and principal workplace of the British monarch; the setting for numerous state occasions. One of the most photographed building in the UK.